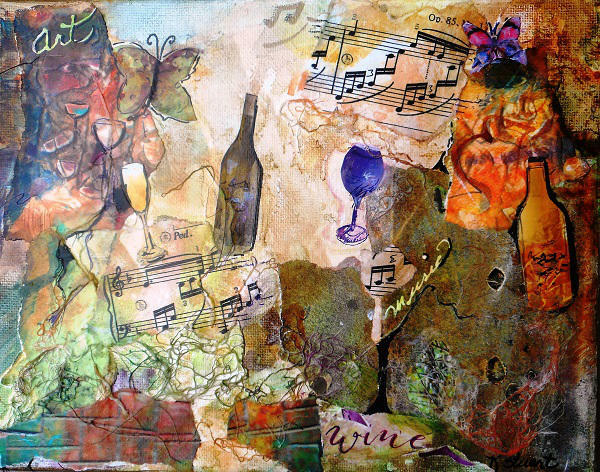 ©Kathleen Stuart Fantasy Bouquet Watercolor on paper 26" x 19"
©Kathleen Stuart Chili Time Acrylic on canvas board 12" x 9"
©Kathleen Stuart Canyon Spring Watercolor on canvas board with acrylic fixative 24" x 18"
©Kathleen Stuart Art, Music, Wine Collage and acrylic on wrap around canvas 8" x 10"
©Kathleen Stuart A Walk in the Garden Watercolor on canvas board with acrylic fixative 16" x 20"
“Painting for me is a joyful means of achieving harmony with nature. 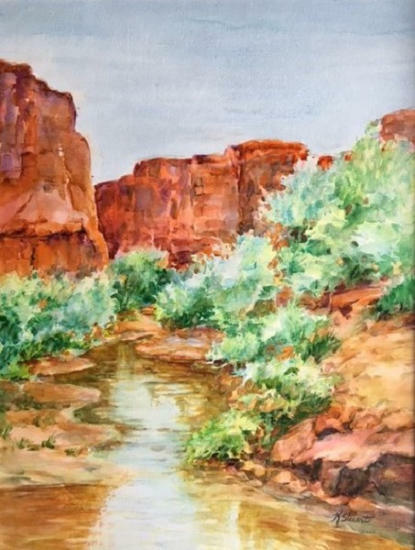 Whether through landscapes, flowers or figures, the paintings reflect my need to connect with the beauty of my surroundings.” Kathleen has been painting and creating all her life. 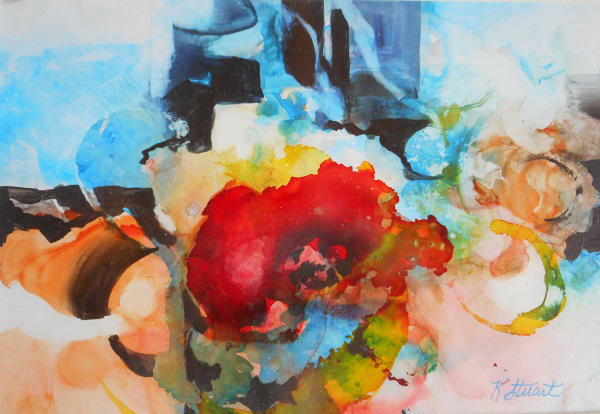 She majored in Fine Arts at the University of New Mexico and the University of Arizona. 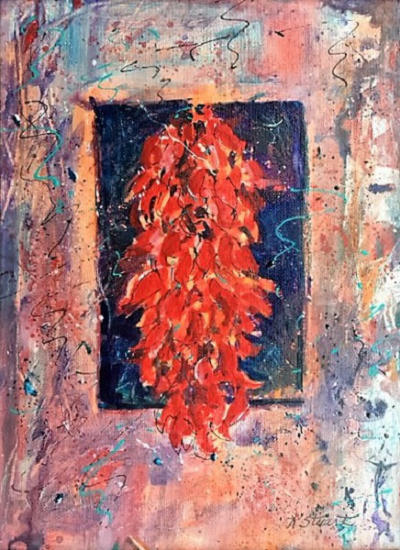 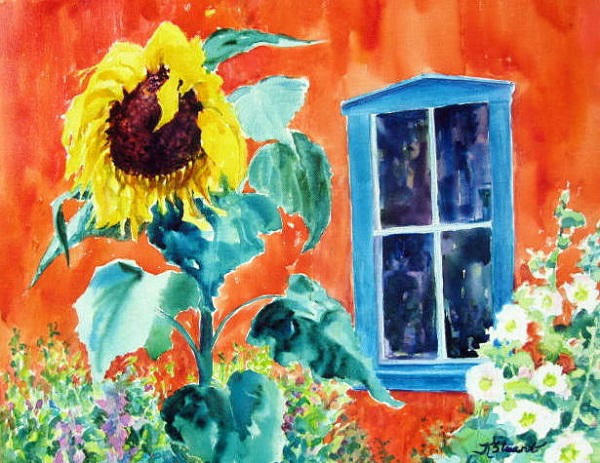 She has studied with many nationally recognized artists and has been teaching private watercolor classes for fifteen years, in her home studio in Placitas, New Mexico. 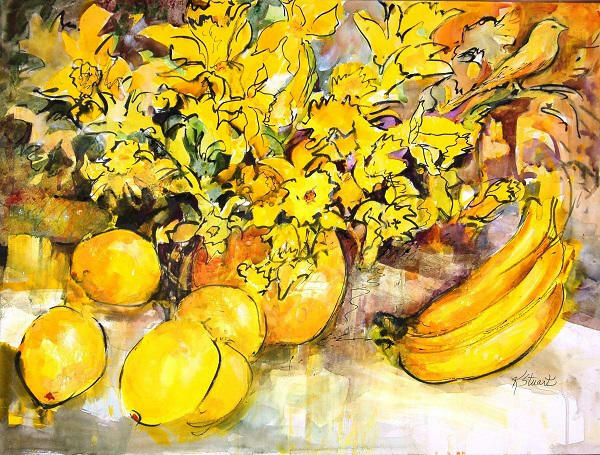 She is an active member of state and national art organizations. 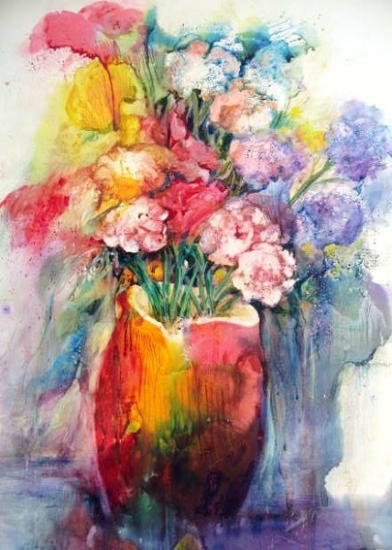 She has exhibited in many shows and galleries, winning numerous awards, including a Blue Ribbon at the New Mexico State Fair. 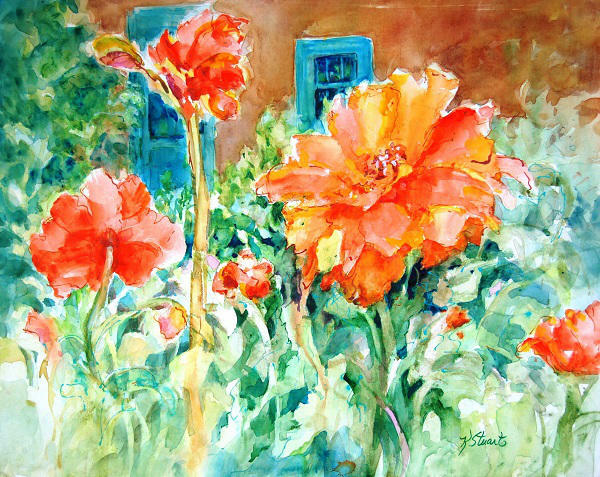 Her paintings are in corporate and private collections throughout the United States.